I remember fondly to the days of 1999 Cisco Networkers Conference in Australia when we first gazed in awe at the Cisco’s most recent acquisition – The Selsius Systems IP Phone system. There we were, all gathered around and gazing on iPhone-like awe at the might, yea the power, yea the very magic of the Internet Protocol and golden future of that IP Telephones was going to bring to data networking. Everyone waited patiently to have a turn and actually ‘hear’ a telephone call. You just had to ‘hear’ it to believe. It was an awesome new future. And profound in how it instantly created believers and haters and almost no one in the middle. In the last ten years, the idea of the IP PBX has become entrenched. The actual numbers of deployments is still relatively low because the old PBX’s still work fine and are hard to replace. IP Telephony remains tricky to deploy, requires a high level of expertise to run and is still expensive (although old Telephony is still expensive as well). Except in the SME market, where it’s the default solution. IP Telephony is hard to scale. Which is all good. We all can see IP Telephony slowly moving into the future and gradually growing in strength but not much more. So why is IP Telephony over ? I’ve just pointed out that it’s growing slowly, and it’s a complicated product. That’s going to be a good for a career, isn’t it ? Lets remember what the purpose of a PBX is – it’s a way of saving money. The primary purpose of a PBX is to avoid paying a service provider for telephone calls between desks in your buildings (a cost-based failure in early Cloud Computing, if you will). Installing your own “telephone exchange” was cheaper than paying for hundreds of line from the telephone company. It’s secondary purpose is to improve productivity by increasing communication between staff members – which also saves money on staff costs. This productivity gain was enhanced by the addition of new features such as call waiting, call transfer and voice mail. There are two things counting against IP Telephony. The least element is the rise of tools like Skype or Internet Telephony. Many people are switching to tools like Google Voice or Skype, especially in small business, and opting for no PBX at all. Once this practice becomes normalised (if it isn’t already), the PBX industry will see much lower growth, if not a complete decline in total sales. The second most significant element that will change the future of Corporate IP Telephony is impact of Mobile Phones and the recent introduction of fixed price, unlimited tariffs in many countries around the world. Until recently, mobile phones were expensive and generally, employees were discouraged from making too many calls and to use the desk phone where possible. But the productivity gains from from actually getting someone to answer the phone instead of leaving a voice mail mean that many people just call your mobile phone every time instead of using the desk phone. And they call from their mobile phone as well. For people who are highly mobile, say between sites or work at multiple offices, a desk phone has no meaning at all. Personally, I haven’t had a desk phone for the seven years excluding my most recent job and am always surprised when it rings. The key change event is the introduction in many countries of fixed price tariffs for mobile phones that include a lot of minutes (or, at least, more than you can reasonably use in a month). In the UK, a fixed price of about UK£50 per month gets you a phone, 1200 minutes and 500 texts and voice mail. Now, 1200 minutes is about forty minutes a day of voice calls, which is more than most (not all, just most) people will use. This price is not a whole lot more than a desk phone (including PBX / Voice Mail, cabling / capex, maintenance) so why not just have a mobile phone instead ? I understand that the Americans don’t currently have unlimited pricing plans because of the monopoly of the Service Providers. I’d expect this to change in next year or two and T-Mobile have already introduced an unlimited plan (with certain conditions and haven’t advertised it widely). Now there are certain jobs where a landline is still going to be useful. But if a conservative thirty percent of staff in a company can change to using mobile phones, then the IP Telephony market is basically over. And once that change takes place, those users aren’t coming back. Once a market goes into decline, it’s not a fun place to be (for example, working in mainframes isn’t exactly a hot business. It’s a good career but would you choose to train and advance your career in IBM zOS if you have a choice ….no, didn’t think so). And thats why I’m not studying Cisco Voice. The direction of the PBX is clear however, as a presence server. That is, a system that can track whether you are online and ‘present’ to receive a communication. That communication might be a teleconference, or voice call and it will hold your messages such as email, chat, text or even voicemail until you are ready to receive them. Of course, Microsoft is already doing this with Office Communicator when it’s installed in combination with Exchange Server. You can choose to chat, message, IP Voice call or teleconference to someone else with Office Communicator. Exchange provides the status updates as to whether they are available, and and address book, and so on. And again, if you are choosing to train in IP Voice, I think it would be investing time into a skill set that would rapidly be obsolete. The next generation of presence technologies is already here. Cisco bought Jabber in late 2008 to provide this capability ((although I not sure whether this software has been into Unified Communications Server)). Cisco is also adding Presence functions to it’s products including Jabber Messaging, Videoconferencing and Email Servers (hosted IronPort services is just the start of this changeover) but will these services be extended to the mobile phone ? I can’t make that call, the future is too uncertain. Telco’s still believe that they own their networks and they don’t want Cisco or Microsoft stealing their voice revenue and dumbing down their pipes. Since Cisco and Microsoft rely on Telco / Service Providers for significant chunk of futures and revenue (especially Cisco), they aren’t going to attack this market anytime soon. In the long term, these presence functions will probably be integrated with Smartphones using some sort of application. The idea of just making voice calls using some sort of desktop appliance that is fixed to one place will seem quaint and old fashioned. I’m sure that any skills you learn in Voice will be valuable in the new game. QoS and Microsoft skills are key parts of the Cisco Telephony platform in any case, Networking skills are almost incidental. But how much time do you really want to spend developing new knowledge ? It’s an enormous job keeping up with that much change. Not impossible, just very difficult. If you take a break, then you can easily lose your edge. Good luck to you if you make that choice, it’s yours to make. I can’t see that there is a strong future in Enterprise IP Voice and I would surely think twice before heading down that study path. I doubt that IP telephony will go away soon. If you compare cisco jobs, expirienced Voice guys are in high demand, much more than storage or security. 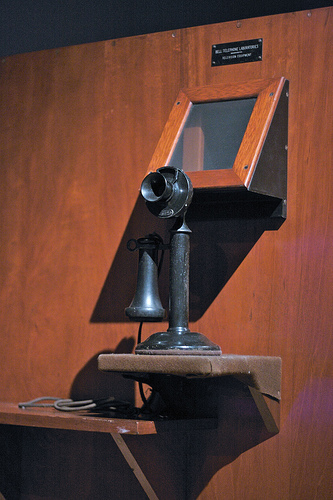 Voice is in demand for the moment, but if fixed telephony shrinks…..well, that will change pretty quickly. OTH, in the Europe, Voice is NOT in demand and doesn’t pay so well as there are enough engineers around. Top engineers still do very well, of course, because IP Telephony isn’t easy to do or keep running. Let me suggest that cheaper mobile telephony means less overall demand and therefore less pay in the future. What are your current thoughts in 2012? As for Skype, Google Voice, or other Internet-based services replacing, or significantly impacting the market for enterprise systems, I don’t see that happening. They are great apps for specific environments, but how does a group of ten or twelve go in to a conference room for a call with the folks in the home office and Skype to them? I don’t see that happening. Never mind SLAs, quality issues. How do Google and Skype generate revenue servicing enterprise customers? Ads? Selling user lists? Also, how do you do call detail reporting? Trunk side recording? Many customers in large environments need these, and other, capabilities.Too many gaps there, I think. As for mobile phones, in the US at least, they are too costly. 40 minutes of talk time a day wouldn’t get a lot of enterprise workers through their first conference call of the day. Also, many buildings have poor cell signal. Yes, you can put in a service-provider specific repeater. But how do you unify service provider voicemail with your Exchange, or (poor you) Lotus Notes system? How do you scale if you double your staff at a location, is the local cell tower up to the task? If not, what are your options? How much battery life/backup generator run time does the local cell tower have, and will the provider provision more if your policies require it? Doubtful. Certain highly mobile workers can live off their cell phone, but many enterprise workers cannot. The vast majority of the US population has a cell phone, but every office I walk in to has hard phones, even Microsoft offices. I don’t see cell phones changing that. Even if 30% of staff use cells, the majority need a desk phone. If you were an MS Office competitor, would you settle for 70% of the productivity suite market? I sure would. Plenty of money to be made there. Microsoft’s OCS isn’t there yet, but will be coming on strong, but it won’t replace desk phones, that market will still be there. As long as MS continues to produces iterations of Windows clients that are ‘the most secure and stable ever’ (how many times have I heard that one), running MOC as the phone for staff at a desk 8 hours a day will be a problem. In the right environment, it is great, but it can’t replace a handset right now, and the market for IP handsets won’t shift to soft clients for years and years, if ever. As Cisco and MS race to best each other, customers and partners both benefit from better, more complete products. Look at Cisco adding inter-company federation, for example. MS had it first, and makes it easier. For now. CCIE-V will remain valuable for a long time. I hope to get mine, but I’m also keeping up with OCS and Exchange developments. “But how much time do you really want to spend devel≠op≠ing new know≠ledge?” My answer–as much as I can. I love learning new stuff, that’s the best part of being an IT geek. I love learning something new every day. This is a problem when dealing with people in the US, they can’t always see the world picture. Just because prices are high for mobile phones TODAY, doesn’t mean they will be tomorrow and the impact on the PBX industry will be catastrophic. PBX’s are far less important now, and getting less relevant every day. There are already many small companies who have no PBX, just mobile phones and external service provider for conference calls – unthinkable just five years ago. Another example is the end of the receptionist who answers the phone. Very, very few companies in Europe have a dedicated receptionist any more. The conditions you describe – conference, CDR, recording are all specific, corner conditions that all have solutions. External conferencing providers provide group functions (and are all I ever use due to poor quality of internal conferencing in most companies). CDR have no meaning if your phone cost is fixed. Who cares how much it costs ? And in most cases, who cares who you called ? Call recording remains a problem, but is solved in different ways already. Consider Financial Traders who are supposed to have every call recorded ? What happens to their mobile phones ? Remember, a thirty percent reduction in any industry typically means the end of it. I am suggesting that mobile phones will completely replace desk phones for fifty to sixty percent of people over the next, say, ten year. Corner cases will still exist, such as call centres, as a niche market only. I’m not planning a career future in that marketplace. I’m moving into something far more interesting and dynamic. I regularly deploy on premise conferencing specifically for customers to eliminate the cost of hosted conferencing, and the audio quality is great. Attorneys (lawyers) need this for client billing. Sales teams need this to confirm their staff are doing what they are supposed to do. Employees making outbound calls they shouldn’t to their ex-wife to harass her need to be identified, and the evidence used for termination, etc. Plenty of reasons companies need CDR readily accessible. Might not be any PBX’s left in Europe, but here in the states, they will remain for quite some time. All labor markets are local, anyway, unless you are interested in moving. People keep missing the point that it’s the entire industry effect that matters. Corner conditions, however significant, don’t make a difference in terms of the entire industry. Your salary and prestige are determined as part of the entire market segment, not as a standalone entity. That is, if you take away thirty percent of all fixed line phones and replace them with mobiles), then the entire IP Telephony industry will collapse to a niche market for specific purposes. You can cite all the specific cases you like such as Hospitals, Helplines, Call Centres, Telephone Marketing …. whatever. At the end of the day, I believe that sixty percent, or more, of workers will use mobile phones exclusively for professional communications. Your telco wants that to happen (but not yet) so they can ‘value add’ to a phone line and will find ways to make it happen. I know the US is reasonably slow to pick up on changes in telecommunications because of the regulated industry and government mandated monopoly, but the change has already started. The silent majority are already doing it. How many executives and marketing/sales actually use their fixed line today ? I do agree the market is transitioning, and Fixed/Mobile Convergence is a hot topic, even here in the laggard States. I still don’t see the death of the PBX any time soon. Thank you for the intitial post, and follow ups, BTW, it is good to read your perspective. The PBX will never die. Just as the death of the IBM Mainframe was predicted, and that prediction has failed. In order to have a legal defense, you have to have some method of accountability. The only way to have accountability is thru things like CDR, etc. As long as the law REQUIRES disclosure of “tanglible things” (like phone numbers) and “electronically stored information” (like CDR) that a party may use to support its defense, the PBX/VOIP systems are here to stay. 1) your telco already provides CDR records as part of the billing process. A corporate mobile phone can already supply itemised bills. 2) Most companies don’t care about legal requirements. Only a very small number of companies would need this feature and that doesn’t make a billion dollar market. 3) I’m not predicting the end of the PBX, either legacy/TDM or IP. Just the fact that it will become a niche market for specialist purposes (such as companies who are obliged to maintain their own records, call centres, hospitals, and so on. ) And indeed, Mainframes are a niche market which is a good analogy. 4) As a niche market, IP Voice won’t be a “hot skill” and certified IP Voice people won’t be as valuable as they are today if at all. 1) your telco already provides CDR records as part of the billing pro≠cess. A cor≠por≠ate mobile phone can already sup≠ply itemised bills. Not true. Most enterprises dont get itemized bills. They get a one page invoice. 2) Most com≠pan≠ies donít care about legal require≠ments. Only a very small num≠ber of com≠pan≠ies would need this fea≠ture and that doesnít make a bil≠lion dol≠lar market. Try telling that to the SEC. See what they have to say about that. Ask them about a guy named Madoff, or even better, Allen Stanford. I dont know what world you live in, but in my IT world, the mainframe is anything but niche. Its a billion dollar market. There are over 10,000 mainframes still in existence. Thats hardly a niche. What about for companies that only provide one number to the world? So all calls look like they originated from the same number to the telco. That makes CDR from the telco USELESS. Telco has the source IMEI of handset as part of the CDR record and this is matched to the phone number. Billing on IMEI easy to do and part of non-repudiation process to definitively identify the unique handset since it’s easy to spoof a phone number. CDR by phone number is useless, but for humans to interpret the bill only. IMEI is only for mobile handsets. There is no such thing as IMEI for wired lines, which STILL make up the majority of telephones in the US. Sure, if you replace every fixed line with a mobile phone that’s how you identify it. And I’m not saying this change would happen today, probably over the next five years with visible change in two years. That’s a career length decision and hence my point of view. 1 – Many telcos provide itemised bill as download from website and post a one page summary to the accounting department (they haven’t heard of computers there yet). Who would want to print them ? 2 – Again, a niche marketplace. I’m not talking about the end of IP telephony, just a massive reduction between thirty to sixty percent as most people choose mobile handsets. FWIW, the recording of phone calls is moving to trading calls only. Proof of insider trading by phone is pointless when every trader has a mobile phone or five in their pocket. 3 – Let me assure you that mainframe are niche. A very profitable niche of a good size, but compared to the total spend in the world on Intel servers still just a niche. And it isn’t growing much, if at all. FWIW, the record≠ing of phone calls is mov≠ing to trad≠ing calls only. Proof of insider trad≠ing by phone is point≠less when every trader has a mobile phone or five in their pocket. Thats not my experience. I work in the energy industry, at an electric control center. All calls to/from the power plants, and the state are recorded. Those have nothing to do with trading, but because they are SOX related transactions (spin up/spool down). I realize you are from the UK. We have a completely different set of laws in the US, called Sarbanes-Oxley, that impose completely different requirements than in the UK. No trader in the US would do trading on a mobile phone, for they would lose their job in an instant for violating SOX compliance. I also have worked in Energy Trading and the similar rules apply in UK and in Australia. The trading “floor” will always be fixed/IP and part of the niche market I’m talking about. I referring to a trader who gets a tip, or doubles down with CDO’s on the side, or bets on a betting exchange using their mobile phone. That kind of activity will get you put in jail here in the US. See Enron. Very provocative post. You forgot to mention open source vendors like Asterisk cutting into the market share as well. Also I know many small businesses who have already switched to skype as their office communication system. But as for large enterprises I don’t see mobile phones replacing desk phones. What about the question of wireless reception in office buildings? And how about data privacy? This debate also seems reminiscent of the wireless vs. wired Ethernet debate and I have yet to see a company run their mission critical systems over their wireless network. Either way, I hope you’re wrong, because I just started my journey towards the CCIE Voice. In case you’re interested http://bit.ly/7mRggl. Sorry Greg. I don’t buy it. There are a lot of issues with mobile phones and there is a big issue for call centers – control and accounting. Now with that said I use a mobile phone and no longer have a home phone either. However, my Blackberries (and I carry two of them) do not always get perfect reception – perhaps this will change one day. Maybe not. While some of us are very mobile and my job is a perfect example of this – 70-80% of the people have one office every day to go to work to. Many offices are not as liberal with their “work from home” policies. Many just don’t have it at all. Different generation and values. Granted that is changing too. I’ll give you it in that we are a lot more mobile but a large portion of people are still quite “old-fashioned” and us techies are just that top-tier and techies. If I walk down my street, I’ll bet you everyone here has a phone in their house but me – there are about 200 houses in my neighborhood. Even the road warrior’s family will still have the tradidional phone. Most offices require the same. I don’t think you are using the correct frame of reference. If you look at your shoes how are you going to know what the sky looks like ? There are two primary problems with your argument. First, that your condition, and your experience is consistent with the entire IP Telephony marketplace. Just because the environment you live and work in doesn’t appear to embrace new technology, does not mean that something will intervene and force them to that change. Further, you show your ignorance of the global marketplace by pointing out the limitations of the American Mobile phone system. The problems you experience are apparently typical of America, but not the rest of the world. America is only part (albeit a significant part) of the total market. So if globally 30% of market moves away from IP Telephony, then America will certainly follow. Example: American Telco’s are moving to 3G as a global standard instead of the status quo. In my IT team, from a survey of sixty people, only twenty have a landline phone. Everyone uses their mobile as the primary telephone. By that standard, your experience isn’t the same. And as I’ve said before, Call Centres are a niche market. Not really a significant impact on the overall space. Note also that call centres are losing their relevance as the Internet replaces many of their business functions. I am led to understand that American consumers are very focussed on call centres, but other cultures don’t have the same emphasis (my interpretation). Second, your career choices such as studying CCIE Voice, is a 20 year decision, maybe an entire life decision. You have already said that “Granted that is changing too”, do you really want to bet your career and life on that ? Sad to admit but a majority of people in the United States probably cannot name more that 25 countries and capitol cities. These are the same people who are supposed to wake and change overnight? In the United States, people are still not very cosmoppolitan. I’d say only about 20% or really a lot less of people in the US have ever been abroad outside of the US military. Seriously, I’d gather to say in some rural communities it is not that rare to find a few souls left who may have never even left their own state. That’s the United States. The U.S. may like to portay itself as a world power, the reality is the average U.S. citizen is very much into the United States, his or her state, city or town, community, church, and family. That is not everyone but that is a lot of people. I find that odd too as I’m very techie, been to other countries, speak other languages, and have generally traveled abroad on my own dime. I’m in Orlando and I know most techies don’t have home phones. I don’t know a single business that does not outside of “home-based businesses and consequently these businesses are more likely to have a land line – call a sense of “presence”. There is a certain feeling about “existance, substance, and being in business” that a telephone and a business address portray to the people in the USA. Without it people usually forget whom they are dealing with. Most business still may not even have a web presence at all or not much more than a page or two if they do have that. That’s the USA – the majority. These people will change. No doubt. Will it be in 5 or 10 years – I don’t think it will happen that quickly – 15 or 20? Another matter and who can say for sure. 20 years ago I saw commercials with Video and Telephones. 2007/2008/2009 – I saw businesses really starting to use Video Conferencing finally. 2007 it was rarely used even though we had it at a Fortune 500 company. 2008 it was being sold to small businesses – well marketed anyway. 2009 it is being used daily at my own company in nearly 40 conferencing room across the enterprise but is still not really on the desktop outside of testing and novelty. 2010 is the year I bought 3 VT Advantage Units and 2 7985G for my own home network. I still think IPT is “THE HOTTEST” skillset on the market and the best paying for Engineer who can handle the whole solution. The flip is that the phone guy at a company may not be earning the highest salary even if he’s not into mostly every thing else. Guys like myself who are multi-talented with an Enterprise consultative skillset have the means to take the best advantage of the current situation. Guys who are strictly Voice are great with Cisco Partners but may limited usage in most Campus/Enterprise networks – maybe topping out at 60-90k and a small measure better if a manager or supervisor. I know Avaya guys lucky to be doing about 40-55k with IP or only whatever Avaya tells them is IP. The world will change and the US will lead in many areas but the majority of Americans are still not quite as technically advanced as they could be as a population. Maybe later. Does your team all work from an office, or do they mostly work remotely? I don’t have a landline phone at home, and were I at a job that permitted remote work, I certainly wouldn’t get one. However, since I spend most of my work time in the office, I greatly appreciate having a separate phone number to give out to people who I really don’t want to talk to. They can ring my desk phone all day long and I don’t have to answer unless I want to. I certainly wouldn’t be a happy camper if I had no desk phone and only had a cell number to publish on my business cards. Plus, my cell phone battery is nearly dead by the time I get home even without talking on it. I’d have to leave the thing permanently plugged in if it were my only phone. In that case, I may as well be tied to a desk phone – I find it much less convenient to be tethered to an outlet (those chargers are always way too short) than to be tethered to a desk phone. At least if I take the majority of my calls on my desk phone, I can forward my calls to my cell phone if I need to step away and am expecting a call. I don’t know why people pay attention to this. This guy is no better than Rush Limbaugh and his articles only seek to inflame instead of truly inform. Good article, keep it up. Something to think about. Little push and eye opener. I must admit that it will take a while that you see there is no demand of IP PABX. I think these days we have no choice but “IP based PABX”. I haven’t see anyone buying any old style PABX. I remember the days when I installed a few of Alcatel 4400 PABX with 40,000 users in each of them. I was told by the company not to tell anything to the company’s staff. The reason for that was to eat money out of company every year as a maintenance contract. Well , IP TELEPHONY is not like that. You get documentation about everything and its open in each IPTEL provider’s site. Now you see how people’s mentality is changing in the IP world vs traditional PABX world? I’m certified in CCIE voice (#21569) but I don’t really advocate Cisco Only solution. I used to work on Soft-switches for teleco’s and then now and then Cisco IPTEL solution. But when I see another voice guy doing cisco voip stuffs, he have no clue about Class5 softswitch. anyhow, I know there are other smarter VOIP vendor out there who just don’t have guts to hire good sales people. So what do you guys think that we should focuss apart from VOIP? – Cloud computing I believe? Although I agree that your perspective on IP telephony is possible and probable, I cannot see this happening for another 15 to 20 years. Bigger enterprises are very slow to move (finance), and for them to abandon a communication mode which they control and is entrenched with their business model will be hard to relinquish. Guys! We are already in 2015 and 2016 is very close. Yes, this article was like a prediction – after 6 years it’s clearly that IP telephony dies. Smartphones, tablets, smartphones war, 3G/LTE, mobile operators offers with hundreds of minutes, mobile Skype, Viber, etc. encrypted calls, cloud services for enterprise that are totally private, outsourcing, OMG! Yes, it dies. IP Telephony followed the pattern of the classic telephony and what happened to it – it’s almost over.